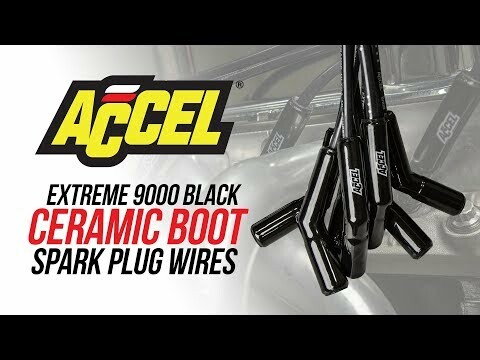 ACCEL now offers the cure for burnt spark plug wire boots with Extreme 9000 Ceramic Wire kits. The 8mm Ferro-Spiral core wire now has ceramic boots on the spark plug end of the wires. 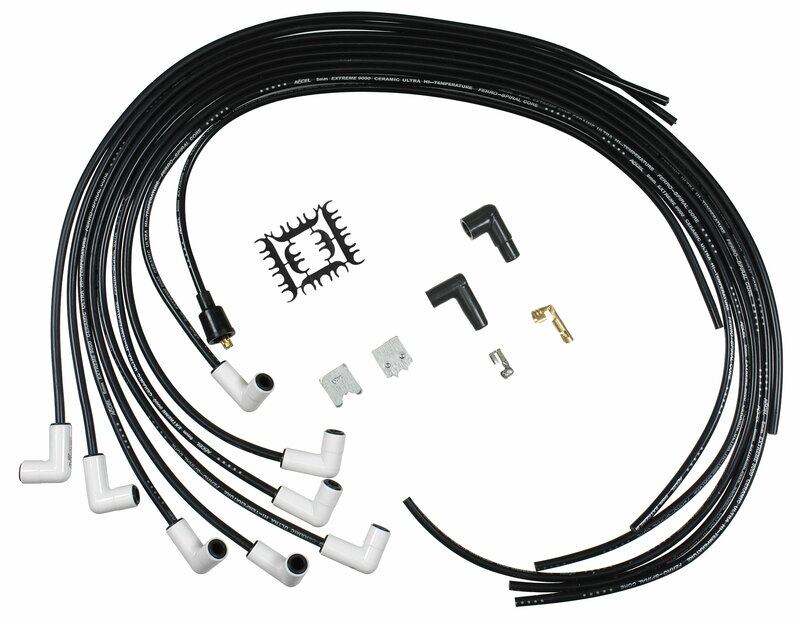 The ceramic boots will withstand up to 2,000 degrees F. If you are running headers with close tolerances, have an engine bay with little room or an RV with boots that melt because of heat, these wire kits are the answer for burnt and melting boots. The wire uses a 500 Ohms/ft Ferro-Spiral core developed for performance use. It provides excellent energy delivery to the spark plugs, while providing the highest level of RFI/EMI suppression. The Extreme 9000 Ceramic Wires also feature stainless steel spark plug terminals for maximum spark energy to the plugs.